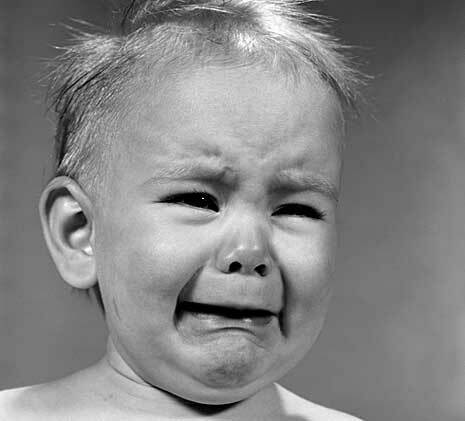 I stayed up far too late on Sunday finishing A Tale of Two Cities. It’s an excellent story that moves at one hell of a clip, especially for you, and ends with a fantastically emotional wallop. Travel Advisory: Avoid France when they’re chopping people’s heads off. I can see why people compare this so favorably when set beside Barnaby Rudge, your only other historical work. The historical backdrop is arguably more dramatic, the cast is smaller, and the action is much more focused and tightly controlled for maximum impact. But I have to say that I think Barnaby Rudge has the advantage when it comes to the incorporation of historical fact into the narrative. Maybe it’s because you had more pages to play with, or maybe it’s because I knew so little about the Gordon Riots that featured in Rudge, and so much more about the French Revolution, but the way you describe the unfolding of events in your earlier work is so seamless that I came away with a real grasp of the riots as a historical event, as well as a satisfying story. 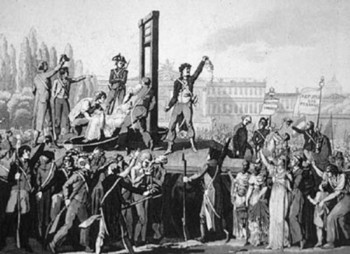 With A Tale of Two Cities, I feel that if I didn’t know anything about the French Revolution, I wouldn’t have gained that same level of historical knowledge. 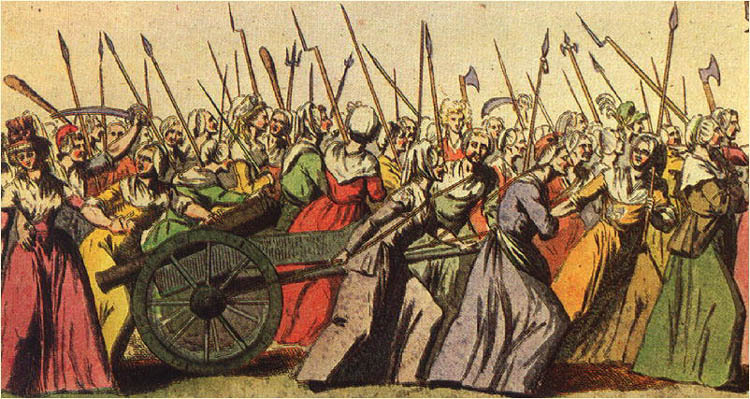 Of course, the French Revolution lasted a lot longer, and you were probably banking on your audience already having a fairly intimate knowledge of the Revolution’s major developments, so you could focus less on the history and more on the plot. And speaking of plot, having your entire cast stuck in the middle of Paris during one of its most violent and dangerous periods was utterly nerve-wracking and really claustrophobic, and I very nearly yelled at the book during Darnay’s second arrest. Thinking back to your History of England, it’s really interesting to me that you can be such an accomplished writer of historical fiction, and such a crap historian. But to get back to the story. 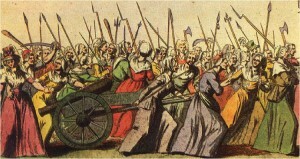 Madame Defarge was not the only angry woman. Which brings us to Sydney Carton. I can’t talk about him coherently because I still have too many feels. And so I try to leave the French Revolution behind. Rather than leaping straight into another novel, I thought I’d cleanse my palate by reading a volume of your “Miscellaneous Papers” instead. Who knew we’d hit a monarch-sized roadblock? I write this letter with a heavy heart. Just when I thought all my fears and preconceived ideas about you had been conquered by your wit, charm and fantastic books, and that we were cruising along the highway together on the kind of extended literary road trip one can only have with a dead author, we hit the road kill. The size of an elk. 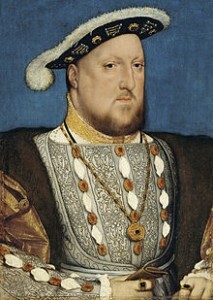 Or, more appropriately, the size of King Henry VIII. I’m talking about A Child’s History of England. Seeing as how it was meant as an entertaining and easy introduction to the kings and queens of England for your son, and that it was published in installments in the journal Household Words for the edification of children everywhere, I really expected it to be more of an adventurous romp through the pages of history in your usual whimsical and accessible style. Now, however, being almost finished, I feel that if your son ever read it, that it was more of a punishment than a reward. The Brussels sprouts of your body of work. It’s been painfully slow going, I have to confess. What frustrates me is knowing that you can write about historical events in an extremely powerful way – I need only think back to the riots in Barnaby Rudge to remember how awesome you are at weaving fact into fiction and creating an amazing and factual story. To be fair, almost a thousand years of history is quite a lot to stuff into 470-odd pages, and you have to give necessarily short shrift to many of the early monarchs, but after reading a few hundred pages it all blurs into a long procession of (usually) selfish kings, sidelined queens, greedy nobles continually fighting for power, and a succession of rather pointless wars and treaties and broken treaties and more wars, usually with France. So this is James I, whose “dull goggle-eyes stared and rolled like an idiot’s”?? I’m not seeing it, to be honest, Charlie. Of Elizabeth I: “She had her fine qualities, but she was coarse, capricious, and treacherous, and had all the faults of an excessively vain young woman long after she was an old one. On the whole, she had a great deal too much of her father in her, to please me. 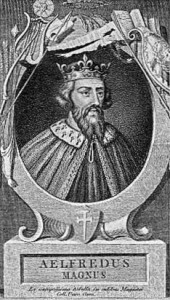 Alfred the Great, incarnation of all the Victorian, er, I mean Saxon virtues. Yeah, Saxon. I think I’d feel better about the whole thing if you had changed the title to something less lofty. Perhaps, “Some Interesting Anecdotes about Monarchs Who You Shouldn’t Look Up To, Because They Weren’t Very Victorian” or “Lots of People Die Brutal Deaths, But It’s Okay Because They Generally Weren’t Very Nice.” At least then your reader would know what they were in for. 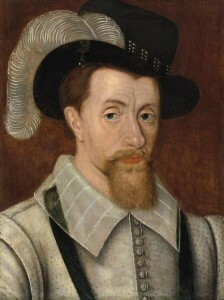 The trouble with all of this is that even when I’m reading about something I didn’t know much about, say, the background and details of the Gunpowder Plot, I can’t be sure if what I’m reading about is the truth, or the truth as seen through your very particular gaze. Multifaceted I’m afraid you are not, my friend. But you are still my friend, for all of this turgid history bogged down in a quagmire of Victorian values, and we must look to the future, thank god. So let’s stop poking the roadkill with a stick, get back in the car, and head for that ominous-looking Bleak House up the road.